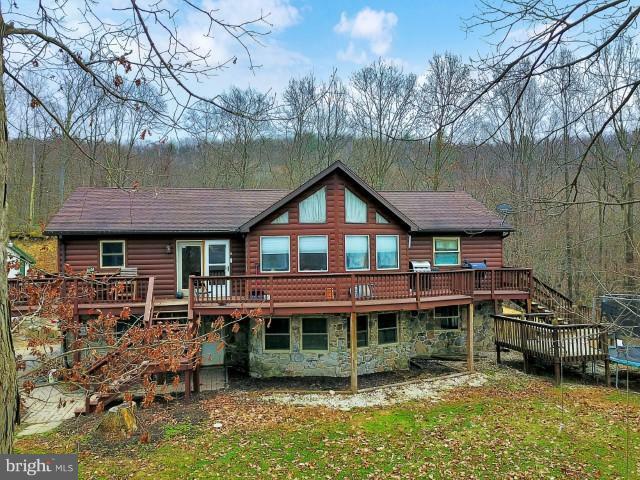 Immaculate log siding home situated on 16 acres outside of Millerstown! 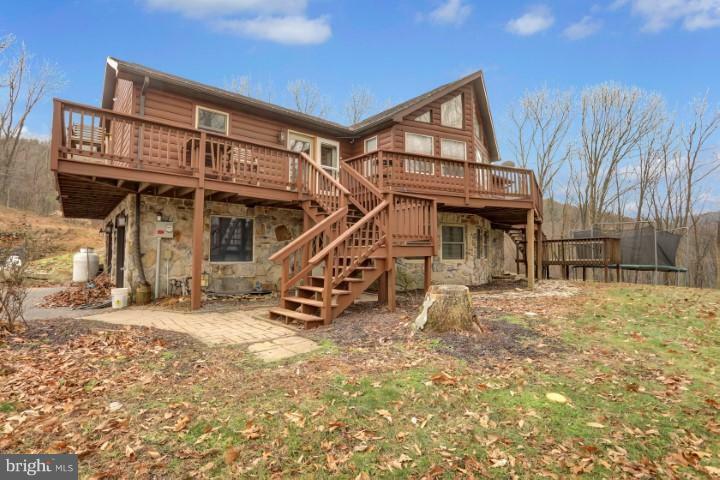 This gorgeous log sidng home includes TWO master bedroom and bathrooms. One master bedroom features a lovely gas fireplace. The second master bath includes a jacuzzi tub to relax in on the cold winter nights. There are 2 additional bedrooms and an office that could be used as the fifth bedroom. 1 full bathroom and one half bathroom. 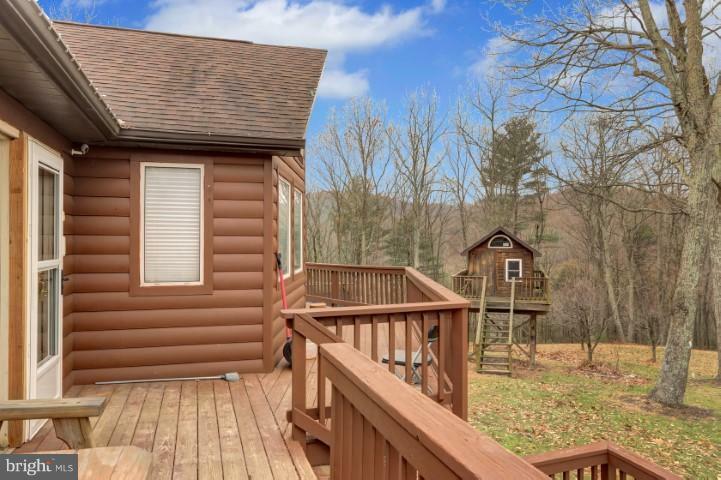 Enjoy the beautiful views of this home from your deck. Perfect for those who enjoy the peace and quiet. 2 car attached garage and also a pole building outside. 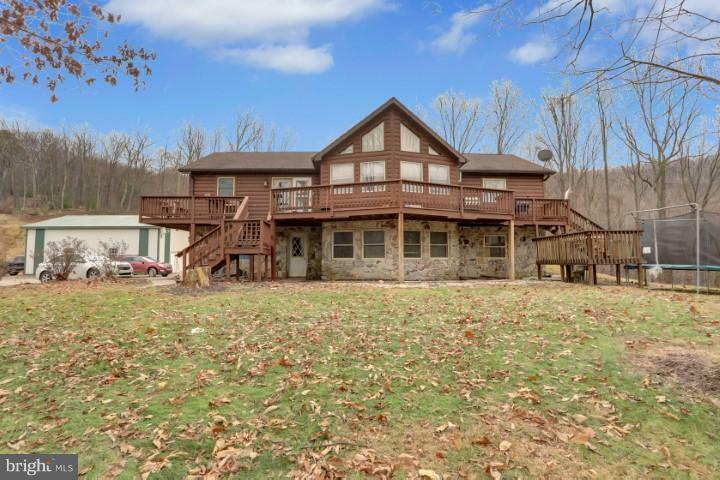 With the 16 acres included it could be perfect for those who enjoy to hunt! This home is located in the Greenwood School District. This property is in Raccoon Retreat. Call today and schedule your private showing!